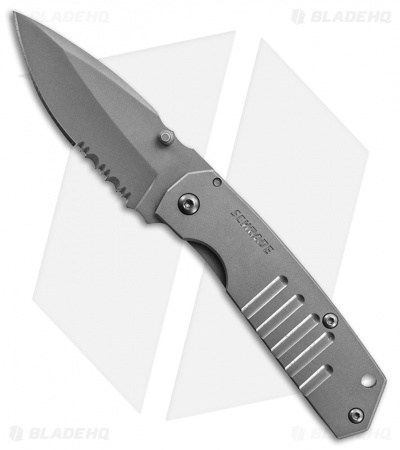 The SCH304MS is a more compact version of the Drop Point folder. Partially serrated titanium coated blade with dual thumb stud opener. Matte gray finished handle with frame lock mechanism.